If you need to install a video surveillance system or upgrade existing analog CCTV we suggest using AHD surveillance camera. 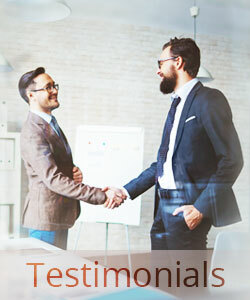 It is a contemporary visual equipment by means of which the most complex and costly projects can be quite easily and quickly implemented, without excessive financial costs. AHD technology was developed a few years ago, but has already gained approval of video surveillance and security systems specialists. It allows to use an ordinary coaxial cable to receive images and audio in high quality as well as transmit control signals to a camera. Using analog CCTV cameras presupposes a bundle of wires utilizing while when using an AHD camera you only need one coaxial cable of ordinary quality. 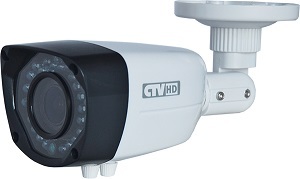 De facto AHD surveillance cameras are analog devices that are able to shoot HD quality images. AHD technology allows to move to a higher qualitative level when using analog video technology in security systems. AHD technology employment allows for a number of opportunities to prove an advantage over conventional analog cameras and IP video technology. Video, audio and control signals can be transmitted over the only one coaxial cable at distances right up to 500 meters. To send a signal you can use twisted pair but the maximum distance from the AHD camera to a video recorder will be reduced to 100 meters. AHD surveillance cameras transmit images without slowing down and pending. Images are transmitted in HD quality. It's easy to install AHD CCTV cameras thanks to a composite video output. Camera tweaking becomes much easier due to on-screen OSD. Relatively low price on AHD cameras makes their employment cost-effective.